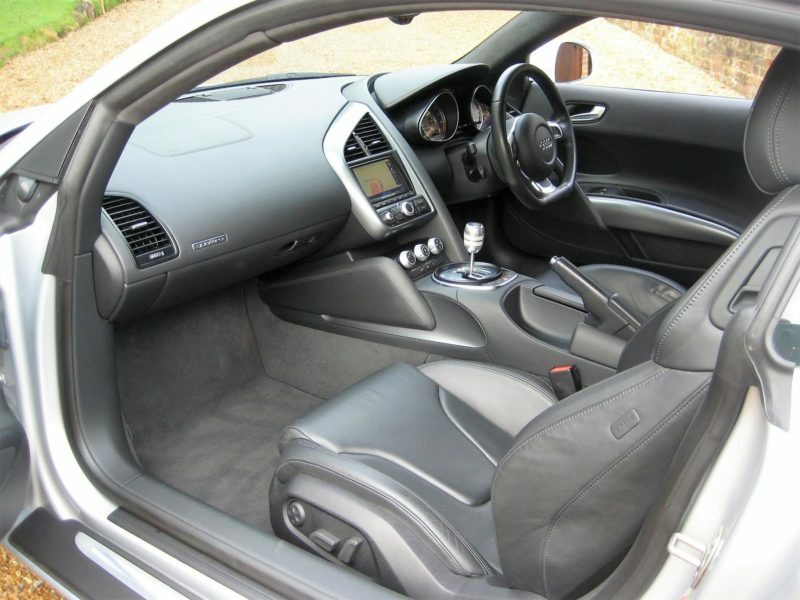 ONLY 25,000 MILES FROM NEW & JUST 2 P/OWNERS. 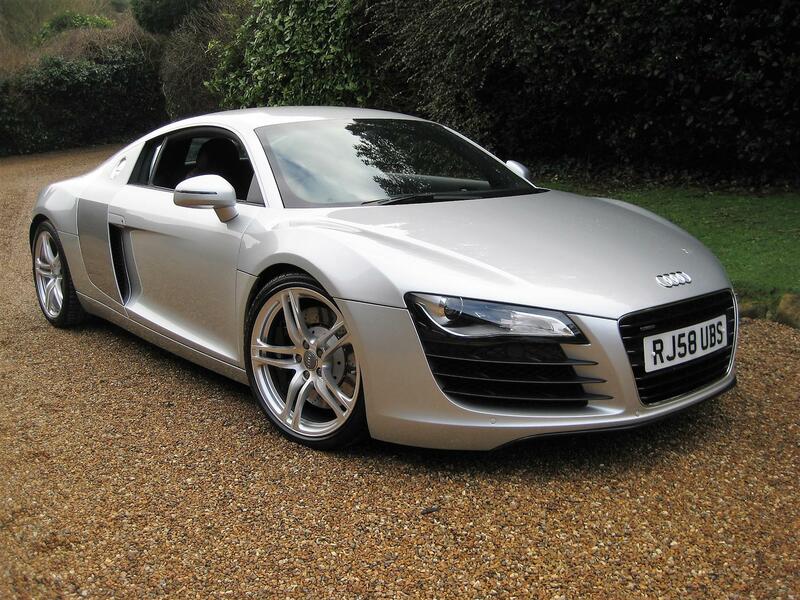 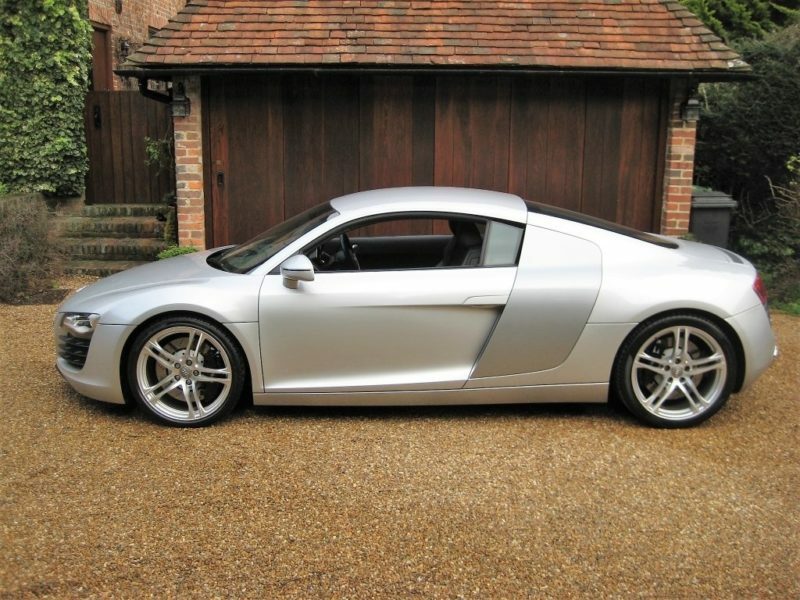 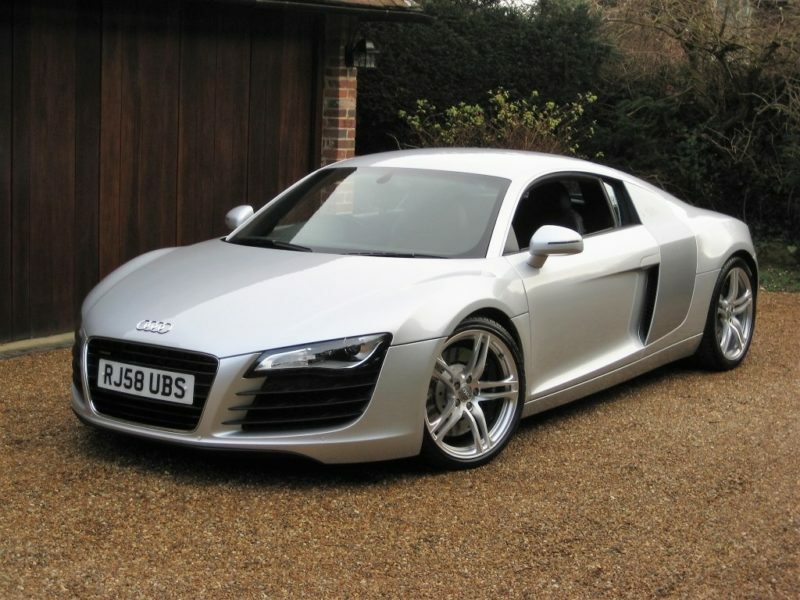 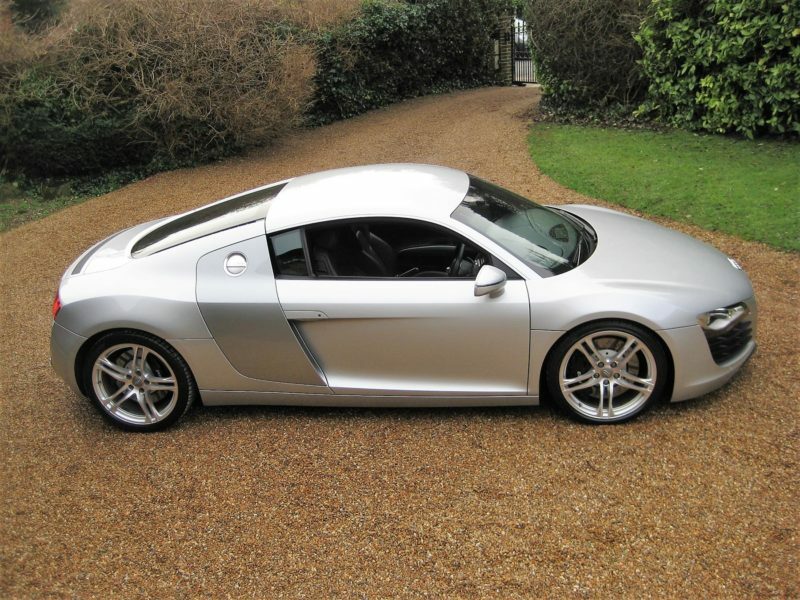 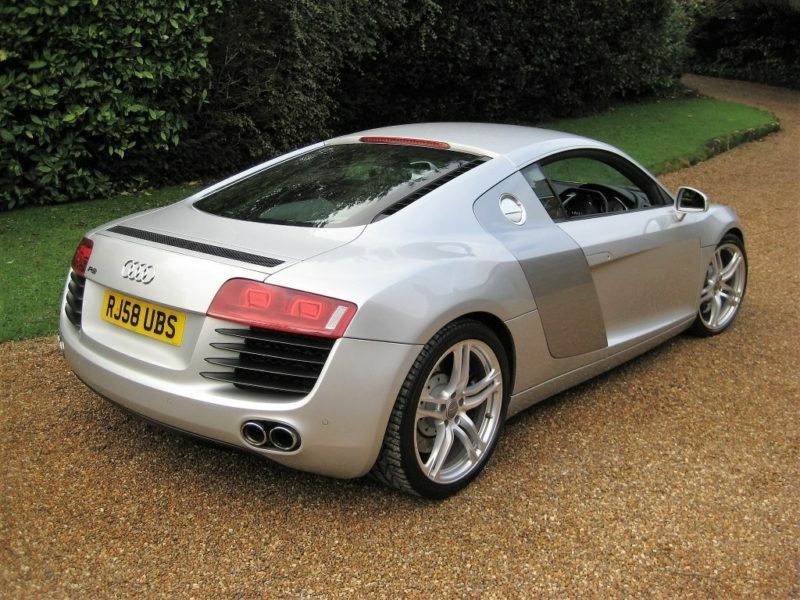 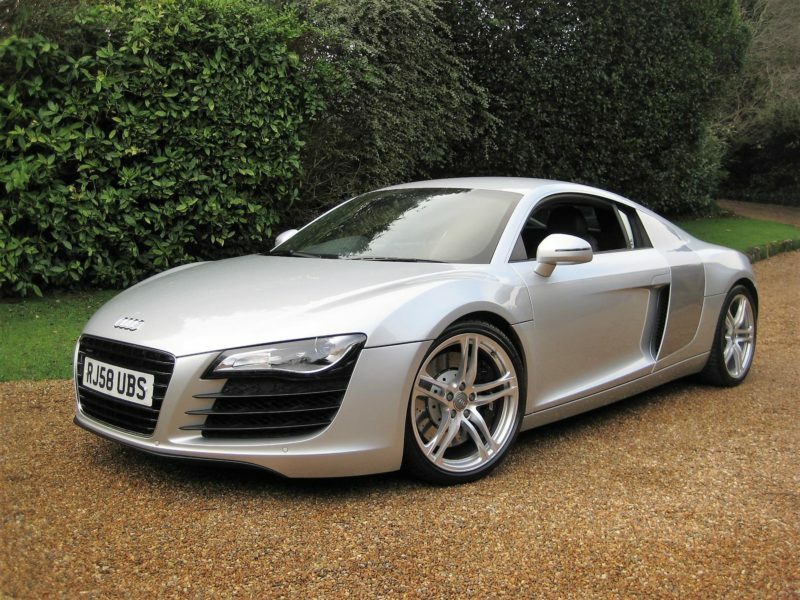 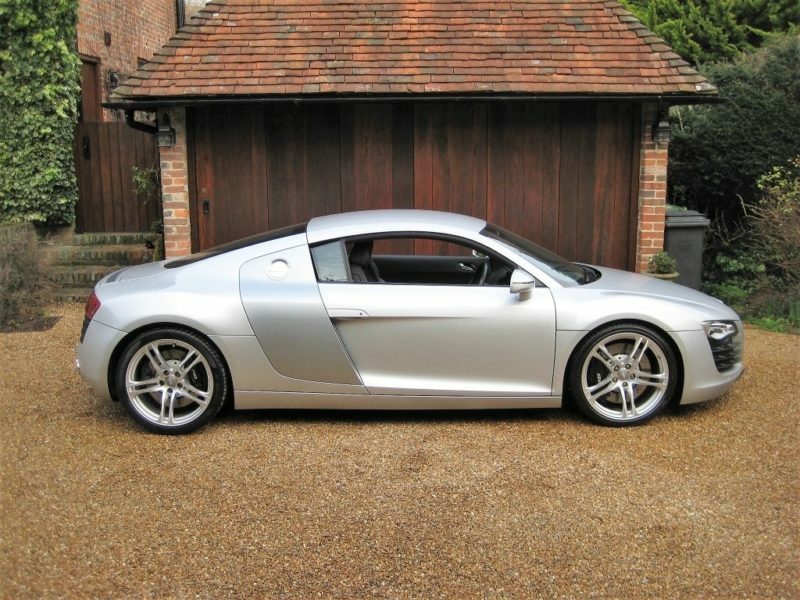 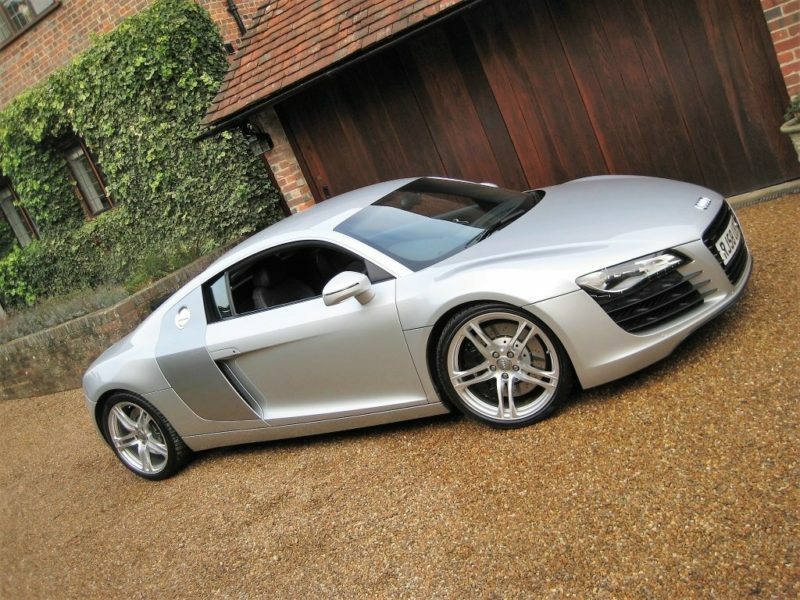 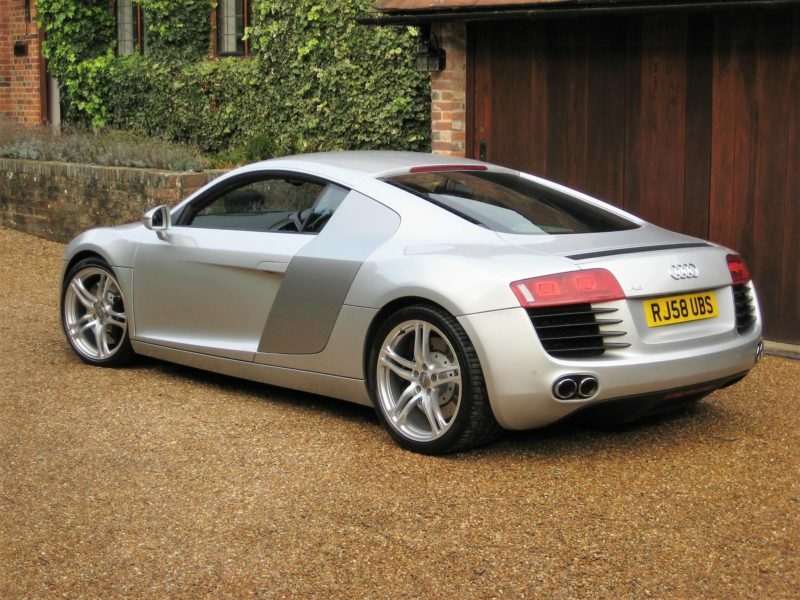 MASSIVE SPEC R8 6-Speed Manual finished in Ice Silver Metallic with Apollo Silver side blades & very rare extended black fine Nappa Leather with coloured stitching (£2,500 option with full leather dash, door shoulders & panels, centre console etc.). 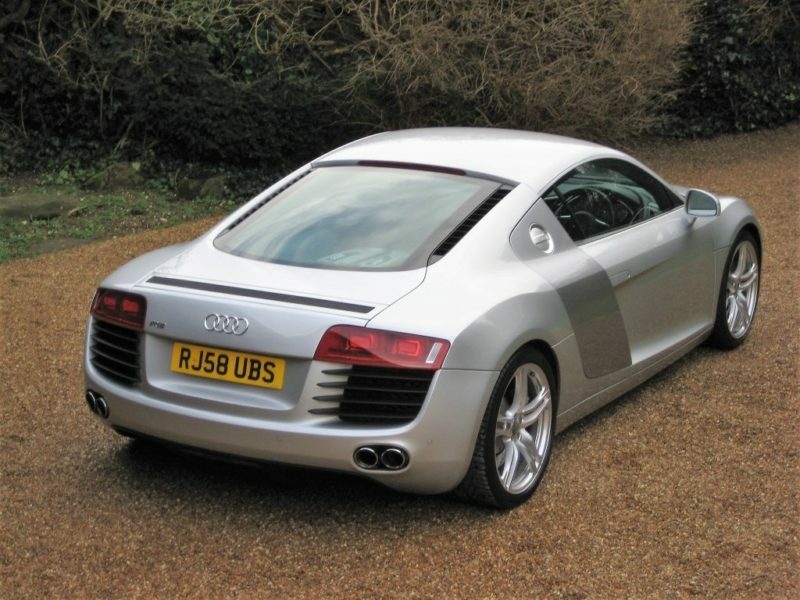 Specification includes Audi Satellite Navigation System Plus, Bluetooth telephone preparation, Audi Magnetic Ride, Alcantara headlining, fully electric seats with electric lumbar supports, cruise control, auto dimming & electric folding mirrors, aluminium gear lever, stainless steel pedals, flat bottomed steering wheel, acoustic parking system front & rear, LED daytime running lights + xenon headlights, unmarked polished 19″ 5-arm double spoke alloys, COBRA track system, fitted Audi carpet mats etc. 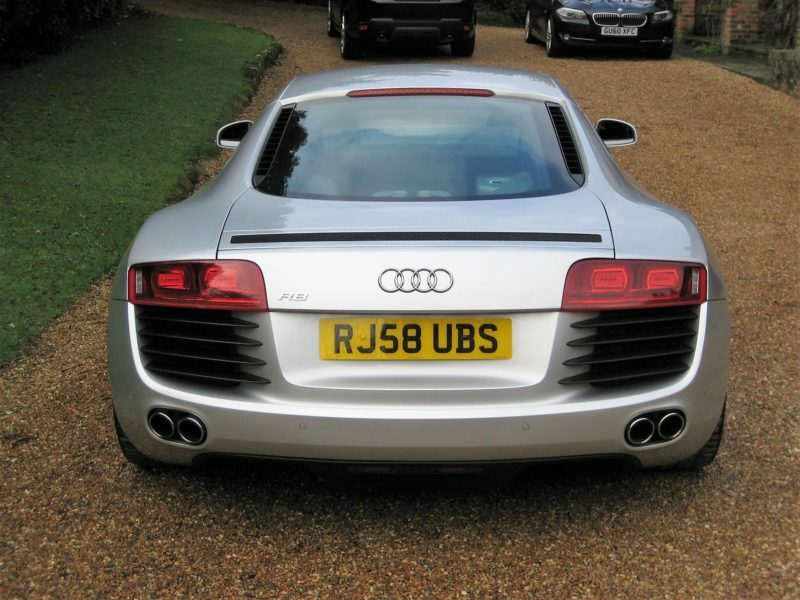 + R8 Leather Luggage Set still in protective bags. 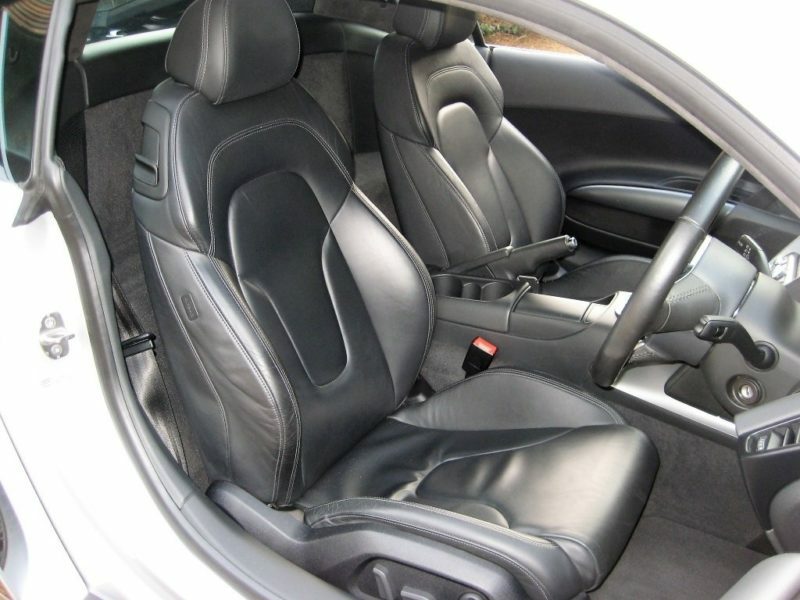 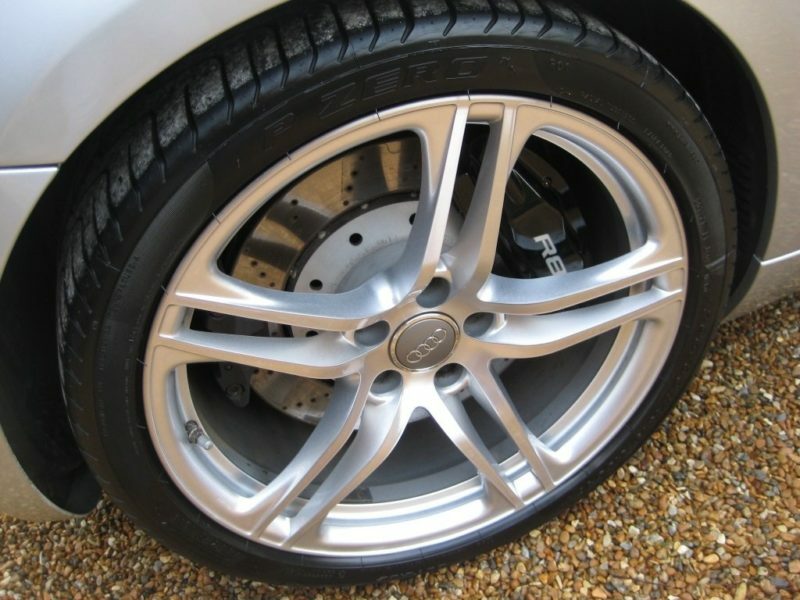 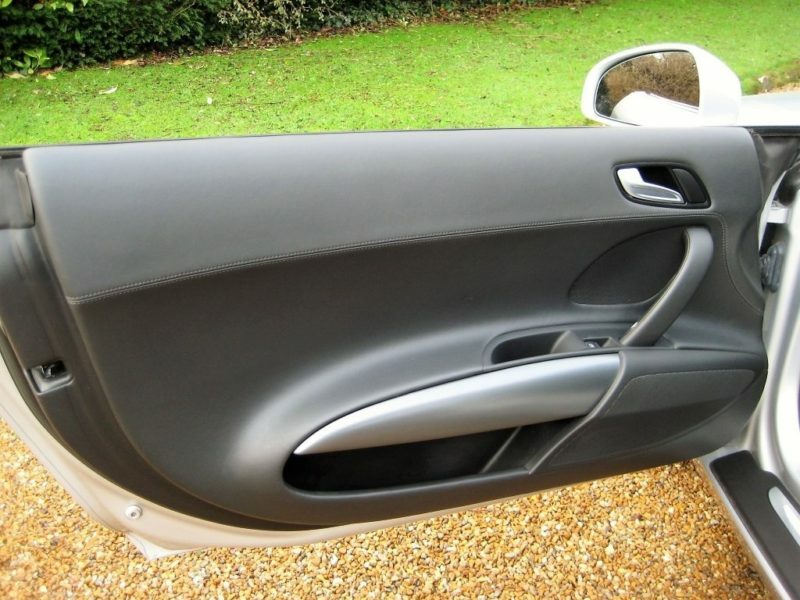 Supplied new by Camberley Audi in Surrey with fully documented Audi main agent Service History from new. 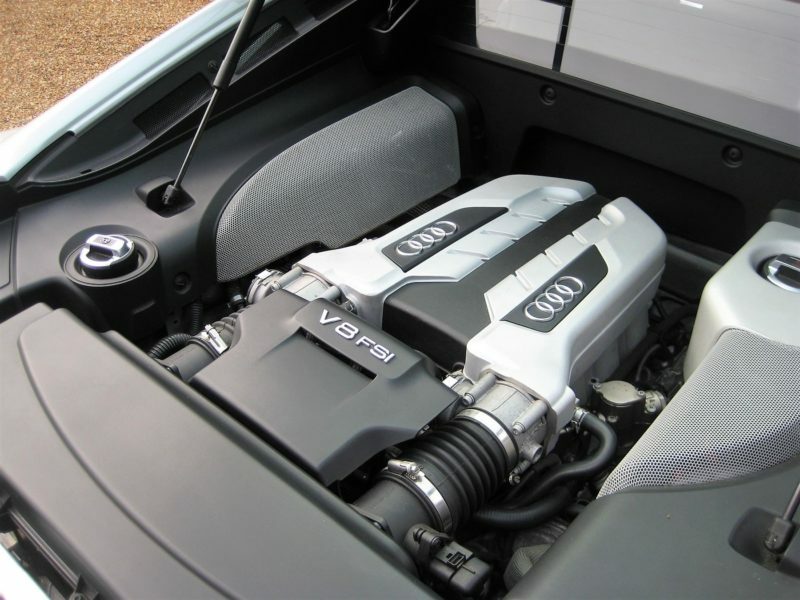 Having been serviced at 4854, 9878, 14224, 22958 & lastly only 400 miles ago at 24563 miles by Northampton Audi + just passed an Audi Vehicle Health Check at our local Audi main agent.